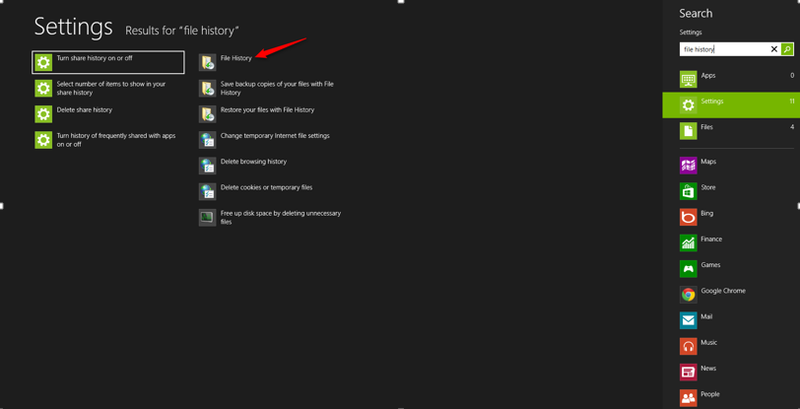 To enable File History, click the ‘Turn On’ button. You can select the drive you want to use by clicking ‘Select Drive’ on the left hand side from this same screen. 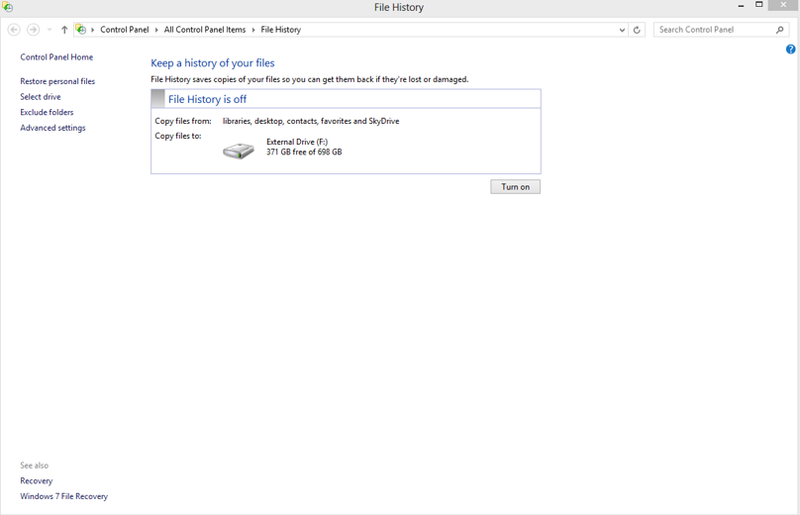 The first time you enable File History, it will create a full backup of all files on your computer, except for files that you do not access (system files), and files you have chosen to exclude. From then on, it will create a versioned copy of every file that has changed since the last backup. You can use a locally attached drive or a network share for File History. To choose how often File History backs up files; choose ‘Advanced Settings’. From here you can also choose how much space on the drive is used, and how long saved versions of files should be kept. When the total space allocated to File History has been used, the feature will delete the oldest versions of files to make room for newer versions.